The future of car care has long since begun at SONAX - trade visitors and the public can once again see for themselves. For the first time, the car care specialist from Neuburg presents innovations such as the "SONAX XTREME Interior Detailer" and the new "SONAX XTREME Ceramic Paint Protect" with nine months of paint protection. 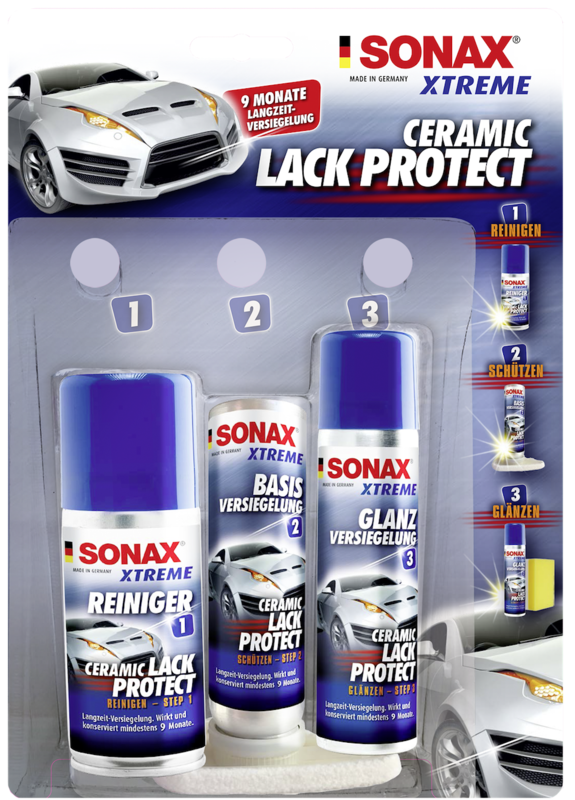 SONAX is one of the world's leading manufacturers of high-performance car care products - and very popular with motor sports fans around the globe. This also pleases US drift icon and rally cross professional Ken Block. At the SONAX stand, the star from the spectacular "Gymkhana" videos will receive visitors to the Essen Motor Show for an autograph session. SONAX is very popular with motorsport fans around the globe. This also pleases US drift icon and rally cross professional Ken Block. 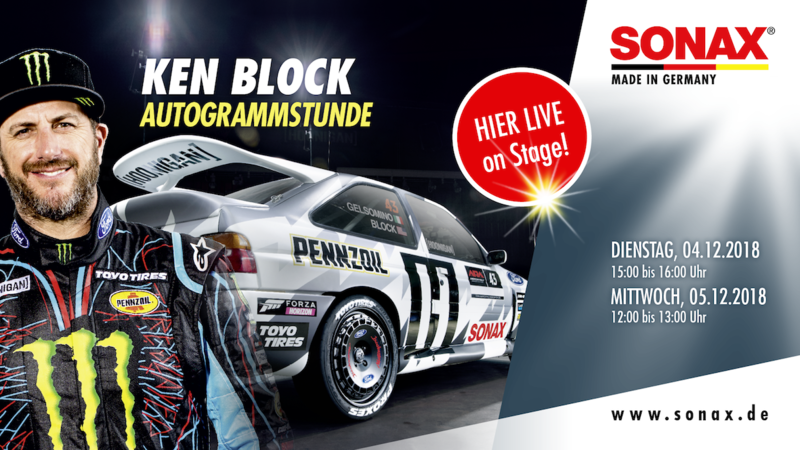 At the SONAX stand in Hall 6, the star from the spectacular "Gymkhana" videos will welcome visitors to the Essen Motor Show to autograph sessions on 4 December at 4:15 pm and 5 December at 12 pm. Tuning professional "JP" Kraemer will also be making his refined cars shine with SONAX products. On 8 December (starting at 1 p.m.), the Dortmund professional will visit the SONAX stand to get to know the brilliant new products of the XTREME series in particular - and to fulfil the autograph requests of his fans. SONAX GmbH is Germany’s No. 1 car care brand and one of the leading manufacturers in this sector worldwide. The brand is represented in 100 countries around the globe. SONAX develops and manufactures at its headquarters in Neuburg on the Danube, and employs around 320 people in Germany.The portfolio comprises products for paintwork care, manual interior and exterior cleaning of vehicles as well as car care products for the winter. Special products for industry, workshops and automated car washes as well as cleaning and care products for professional vehicle valeting and utility vehicles top the range off. SONAX GmbH is part of the Hoffmann Group of Companies.